Do you believe that monasteries are not built on random locations (especially the old ones)? I certainly do. We, human beings, are definitely way more logical and hence perhaps more intelligent nowadays (if this is really what intelligence is about).However in the 21st century, I honestly believe we’re way too far from our roots, which is why all dark statistics seem to be hitting the sky even in the most developed countries. This is one of the reasons Ellie and I love turning to our inner worlds as often as possible and the chance to visit the Bachkovo Monastery was yet another opportunity for us. I have long wanted to go there, but as many other people, I also found numerous excuses not to. Well, enough with excuses – I did it and will certainly repeat it very soon. Bachkovo Monastery is the second largest one in Bulgaria after Rila Monastery but I find it incredibly hard to say which one is more beautiful. The one thing I know for a fact is that there’s something about this place that can’t be explained with words (and perhaps shouldn’t). If you decide to go, I advise you to park on the parking close to the main road. You are allowed to continue with your car and park on the monastery’s parking, but you’ll miss a large portion of the fun if you do. The street taking you up to the monastery is incredibly picturesque. The first part is a sort of market – there are plenty of small stalls on both sides, offering souvenirs, jewelry ice-cream and the well-known Bulgarian kebaptche sandwiches (which I recommend you try). When you reach the end of the shopping street, the road splits in two and you need to take the left uphill street. That there is a historical path. Something funny happened to both of us as soon as we walked into the church to see the miraculous icon*. For some reason, I felt it was only right to bend on my knees in front of it and just address my prayer to whoever up in the skies is willing to hear it. Tears were rolling out of my eyes as my prayer was making its way from my heart to my lips only to come out completely different than what I had planned on praying for. When I finally gathered myself and went to find Ellie, I discovered her lightning a candle with her face covered with tears. Then she broke down. When I am saying that she broke down, I mean every word. There was some heaviness she seems to have been carrying and the Bachkovo monastery was the right place to simply unload. *There is an icon kept in the Bachkovo Monastery and it is believed that it heals the sick and answers your prayers and we personally know a woman who got cured from a very serious disease the day after visiting the monastery. I guess this place doesn’t have the same effect on everyone. When we came out of the church I saw a couple in their mid-forties, heading towards the exit. To my surprise the guy was extremely rude to his wife – there was obviously nothing holy to him. Ellie and I will surely be going back to the Bachkovo Monastery very, very soon. We’re actually planning on staying there, as apparently a night costs you 15 leva (in a room with its own bathroom) and 10 if you don’t mind sharing the toilet with others. As a bonus, for additional 5 leva you can have a breakfast or a dinner there, and for 10 lv – a lunch with the monks. If you decide to have all 3 meals in the monastery you can even get a discount and pay something like 15 lv for the 3 meals instead of 20. If you enjoy reading history, I strongly recommend you visit the official website of the monastery. It is one of the few websites in Bulgaria which are well written and contains the detailed history of the monastery plus all the legends about the “wonder icon” and everything there is to see. This was written almost a year ago. 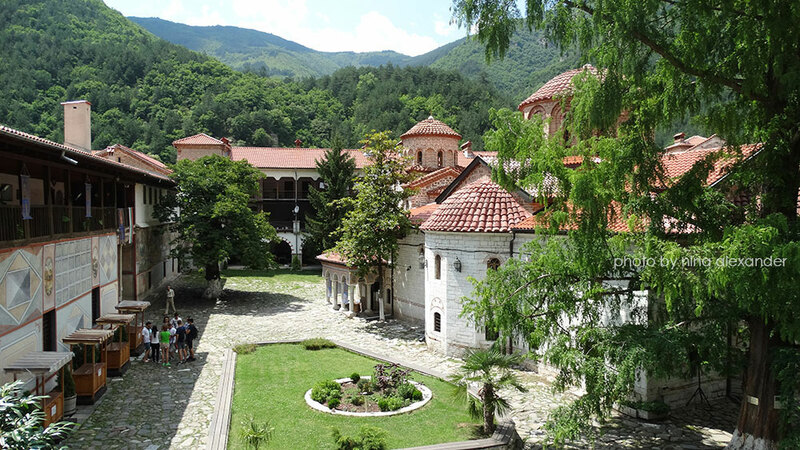 We will be going back to Bachkovo Monastery in less than a week and we CAN’T WAIT! There’s a lot more to know about this place, so stay tuned! Well done. We will see Rhodopi mountains next. So beautiful and peaceful. I love stories behind buildings and this is very interesting! 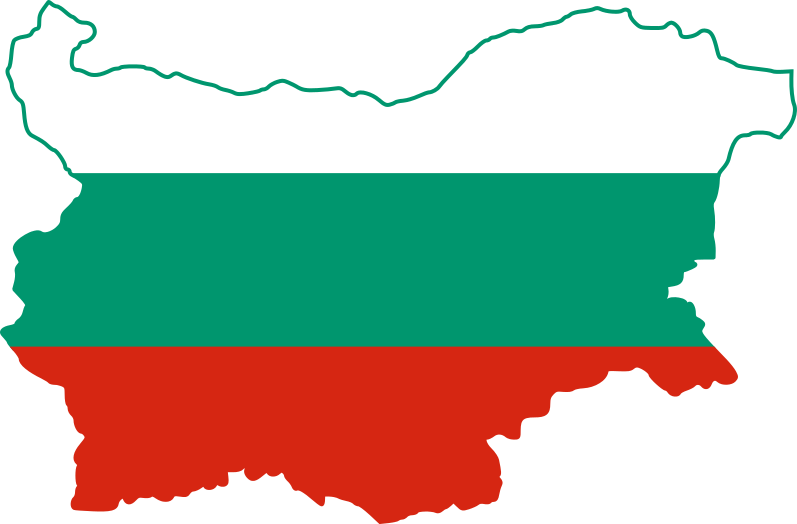 next post: Where do Bulgarian travel bloggers go on holidays?